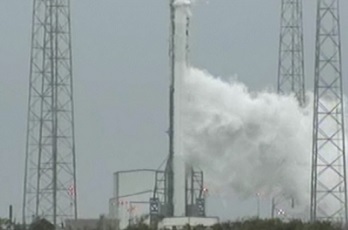 SpaceX have conducted the first Wet Dress Rehearsal (WDR) and Hot Fire (Static Fire) test of their upgraded Falcon 9 v1.1 launch vehicle at their Florida launch site. The rocket is still targeting a November 25 launch date, tasked with lofting the SES-8 satellite from SLC-40 into a geostationary transfer orbit. SpaceX are pressing towards the second launch of their upgraded rocket – following the successful launch of the Cassiope spacecraft in September. The launch date for the SES-8 mission was officially at the weekend’s Launch Readiness Review (LRR). 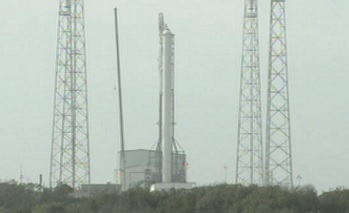 The current target remains November 25, with the launch window opening at 17:37 local time, closing at 18:43. The readiness to launch was boosted by what is being classed as a successful hot fire test, which also combined – by nature of the countdown tasks – the Wet Dress Rehearsal (WDR) objectives. Originally, a separate WDR, followed by a standalone Hot Fire, was planned. However, due to final work on the pad upgrades to host the larger F9 v1.1, SpaceX opted to combine the tests into one countdown. The first attempt took place on Wednesday. However, due to unspecified issues during the countdown, along with poor weather at the Cape, the attempt was scrubbed for the day. The second attempt tracked a window that opened at 2pm local time, with tanking observed via a single NASA webcam that had been set up for the recent launch of the MAVEN spacecraft atop of an Atlas V from the next door SLC-41. While details of this vehicle’s flow have been few and far between, it is likely the Falcon 9 v1.1’s Hot Fire followed a similar path to that of its predecessors. Around this time, the routine venting of the LOX from the vehicle started to increase, to the point it appeared as an off-nominal condition. Cycling of the vent valve reduced the venting for a short period, prior to it increasing once again. At this point the webcam was turned off. Reasons for the increased venting could relate to the high humidity and strong winds in the local area and/or an issues with the vehicle’s associated Ground Support Equipment (GSE), specifically LOX ground pumps, per L2 information. What is obvious is the large increase in venting was not deemed to be an issue for the continued press towards the Hot Fire. Per the countdown procedures, the tasks would have entered the terminal count ten minutes before ignition, followed by the launch vehicle being transferred to internal power at four minutes and forty six seconds before T-0. SpaceX employees were shown to be watching this critical part of the countdown on an internally screened webcast, per postings on Twitter. Pressurization of the propellant tanks would have followed, and while a WDR countdown would conclude at around T-5 seconds, the adjoining of the static fire test continued the count through to ignition for a short burst to validate the condition of the engine set. 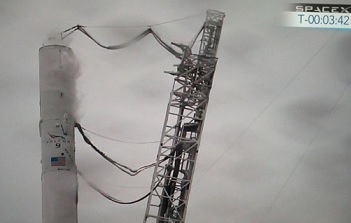 Ignition took place around 4:30pm local time, two and a half hours into the test window, with a short burst of the Merlin ID engines on the core stage of the F9 that was without its payload atop of the vehicle for the test. UPDATE: SpaceX later responded to NASASpaceFlight.com, confirming the test was successful and that the extra venting was not a result of a leak or a hardware issue. Detanking operations would then have followed, ahead of its lowering on to the Transporter Erector and rollback to the hanger to begin final processing ahead of launch, which will include the mating of the payload fairing containing the SES-8 spacecraft. The Launch Readiness Review (LRR) was concluded at the weekend, allowing the teams to press forward with the opening launch attempt on Monday. This mission is tasked with lofting the SES-8 satellite into a geostationary orbit, a mission profile that requires the upper stage to restart for what will be two required burns. SpaceX recently completed modifications to the Upper Stage to mitigate against the re-start issue noted during the Cassiope mission. The SES- spacecraft is a hybrid Ku- and Ka-band spacecraft – the sixth GEOSTAR satellite ordered by SES WORLD SKIES. 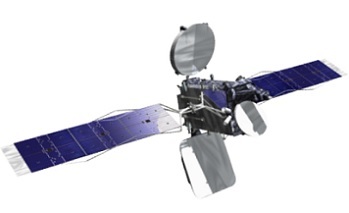 The satellite is based on Orbital’s Enhanced GEOSTAR 2.4 bus, and will carry 24 active Ku-band transponders of 36 or 54 Mhz capacity, switchable among 33 channels and two beams. Certain channels in each beam are cross-strapped to multiple frequency bands, enabling flexibility for new services. In the addition, the spacecraft features a Ka-band payload. The spacecraft will generate approximately five kilowatts of payload power and will feature two 2.5 x 2.7 meter super elliptical deployable reflectors and a 1.45 meter fixed, nadir antenna. Pending the successful mission with SES-8, SpaceX will then turnaround their Cape facility for the next Falcon 9 v1.1 launch, realigned to a December 20 NET (No Earlier Than) launch date. This places SpaceX into a stance where they will be launching two missions in the space of less than a month – a first for the company. SpaceX recently confirmed to NASASpaceFlight.com that they remain on track to carry out both missions in this timeframe, despite the previous slip of SES-8 to November 25. 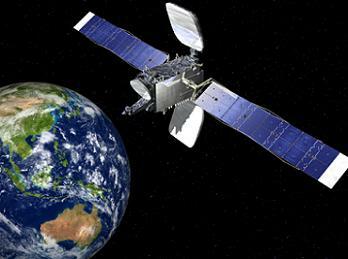 This mission will also be tasked with lofting an Orbital-built satellite, namely the Thaicom-6 spacecraft. This will complete SpaceX’s missions for the year, with 2014 opening with another launch from Cape Canaveral, this time with their next Dragon mission to the International Space Station (ISS). CRS-3 (SpX-3) will result in the Dragon taking its first ride uphill on the upgraded Falcon 9 v1.1, with the current launch date on the schedule for February 11. 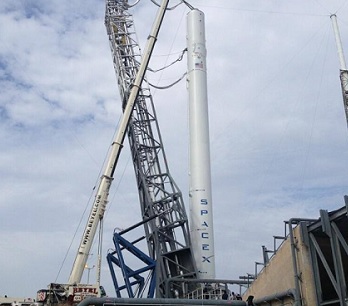 (Images: SpaceX, NASA and Orbital and additional information from L2’s SpaceX Section).